Jole Costanza received her Bachelor’s degree in Biomedical Engineering in 2007 and her Master’s degree in Bioengineering in 2010 at University of Padua. In Padua, she joined a project in collaboration with the Department of Information Engineering and the BMR Genomics for building an automatic troubleshooting algorithm for Sanger DNA sequencing. 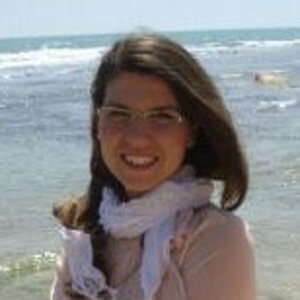 Moved by her big passion and love on the research in November 2010 she started her PhD in Computer Science at the University of Catania, under the supervision of the Prof. Giuseppe Nicosia where she joined a project on Computational Biology and Systems Biology. She has been involved on the development of the novel BioCAD tools for the design of optimal and robust biological systems for synthetic and biofuel production. In 2012-2013, she spent several times at the Computer Laboratory of the University of Cambridge where she collaborated with the group of the Prof. Pietro Liò. Currently, she is a postdoctoral fellow at the Center for Genomic Science of IIT@SEMM in Milan. From February 2014 to August 2015 she joined the Computational Research group headed by Dr. Heiko Muller, where she designed a new machine learning algorithm based on the knowledge of viral mechanism in tumorigenesis for the discovery of driver somatic mutations and driver genes in human cancer. From September 2015, she started a new collaboration with the Computational Cancer Genomics and Systems Biology group, headed by Dr. Laura Riva, working on the genomics of chemoresistant acute myeloid leukemia.